The Custard TV: First Look: The Trip to Italy. First Look: The Trip to Italy. The BBC have released the first trailer the anticipated sequel to 2010's The Trip with Rob Brydon and Steve Coogan. The new series entitled The Trip to Italy sees the two comedy giants again eating and bickering as they travel in a Mini convertible - a reference to The Italian Job - across the sun-soaked vineyards of Liguria down to the breathtaking cliffs of the Amalfi coastline. 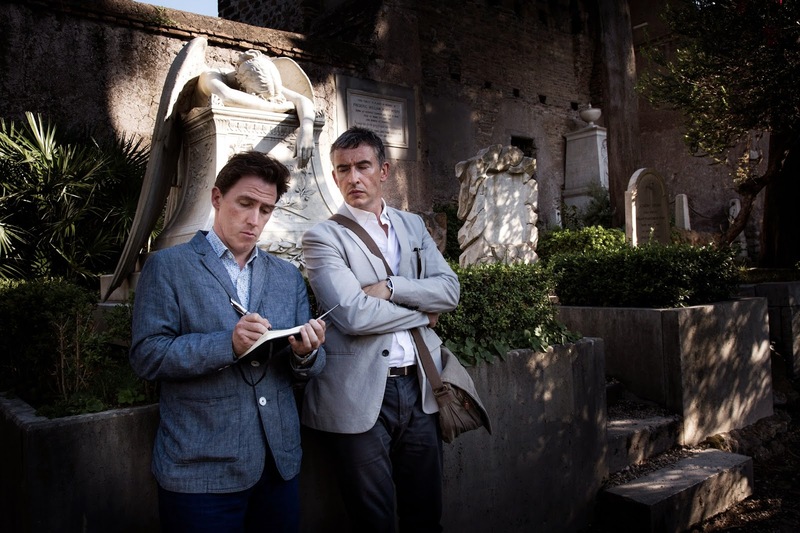 The Trip to Italy Starts at 10.00pm on Friday 4th April on BBC TWO.